A hostile opposition, an economy in crisis and navigating a tense history with India confront Pakistan’s new government. 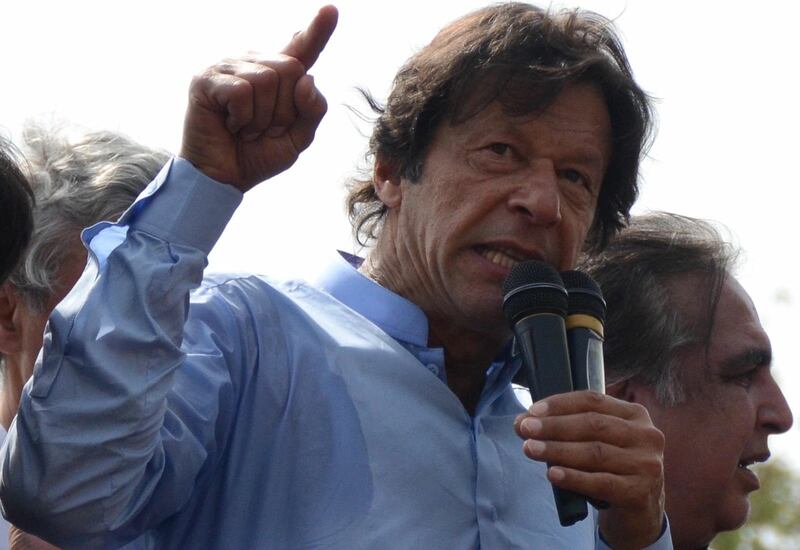 The first major challenge Imran Khan will face as the next Prime Minister of Pakistan is from the opposition parties. In the general elections, his Pakistan Tehreek-e-Insaf (PTI) party managed to win 115 of 272 general seats in the National Assembly. This is short of the 137 seats needed to form a government, but PTI gained just enough support from some independents and smaller parties to do so. The opposition, by contrast, is only narrowly behind PTI in the numbers game. Four major parties have announced their intention to form a grand opposition alliance against PTI, and with more than 110 seats between them plan to give Imran Khan’s government a tough time for the next five years. Arguably, the biggest challenge faced by Pakistan is in the form of an economic crisis. Given its strength in the National Assembly, the opposition will make parliament a daily battlefield. Imran Khan gave one of the key opposition parties, Pakistan Muslim League-Nawaz (PML-N), a tough time over the last five years, so the next term will be seen as a chance for payback. The government will not be in a position to pass amendments to the constitution, which requires the support of two thirds of all members, forcing it to rely on opposition support for any major decision. Arguably, the biggest challenge faced by Pakistan is in the form of an economic crisis. Khan built his election campaign around the idea of a prosperous future for Pakistan, and acknowledged the severity of the economic crisis in his victory speech. During his time in opposition, Khan claimed he would make Pakistan a self-reliant economy, which is a tough promise to deliver in government. It was revealed that the PTI government is contemplating a US$12 billion bailout package from the International Monetary Fund (IMF). Presently, Pakistan is facing a severe foreign exchange crisis, with only enough reserves, valued at $9 billion, to cover the country’s imports for the next two months. If Pakistan does not arrange a financial bailout soon then its imports will be suspended, effectively meaning no fuel imports to run the economy. However, the road to the IMF is not very smooth for Imran Khan. In the past, he criticised former governments for using IMF bailout packages. To do the same would appear to contradict an election promise. Moreover, the US presents another unexpected hurdle in the way of a bailout package for Pakistan, after US Secretary of State Mike Pompeo used an interview to warn Pakistan about using IMF funds to repay Chinese debts. Pompeo argued that US taxpayer dollars paid to the IMF will not be permitted to be used to repay Chinese loans to Pakistan. For now, it is not clear whether Pakistan would use an IMF bailout or, instead, the loans of other multilateral lenders to repay Chinese loans. Presently, Chinese loans only make up 10% of Pakistan’s external debt, whereas loans from Western countries and lending agencies make up 60%. Still, winning further IMF support for Pakistan has become difficult, and if the US opposition persists, the PTI government will be left with no choice but to ask China for more help, increasing the so-called “Chinese debt trap” for Pakistan. This will also run contrary to Khan’s claims of making Pakistan economically independent. But it is not only the economy. Khan will also face problems in Pakistan’s relations with India. In his victory speech, Khan expressed a wish to improve relations between the neighbours, and in return received a congratulatory call from India’s Prime Minister Narendra Modi. Yet at the same time there are concerns in India that Khan’s closeness with the Pakistani military establishment will further deteriorate relations between the two countries. Some of this concern is unfounded. Under recent right-wing governments, Pakistan has been better equipped to improve relations with India, as Nawaz Sharif proved in 1999, and General Pervez Musharraf from 2004 to 2007. However, it will still be difficult for Khan to make a breakthrough in relations with India. The military establishment has increased its influence on state affairs in Pakistan, and even if the military allows Khan to seek improved relations with India, the opposition in the National Assembly can cause trouble for the sake of opposition. The next five years will be a bumpy ride. We tend to think of South Asia and the Middle East as separate strategic zones but they are becoming increasingly more connected. It is sobering that Indian diplomats are talking of the Quad as a way to stiffen Australia’s spine.